Alfred significantly speeds-up the operation of the Mac. Press Cmd-Option-Control-Space to open a textbox hover and enter… text! This is a mini and powerful CLI (command line interface) to launch apps, find folders and open documents. Alfred can do much more than that, but just alone launching applications by thought and muscle memory leaves more time for being productive and creative. Mindcad Incubator. Did anybody say that only mobile apps are presented on app design critique? 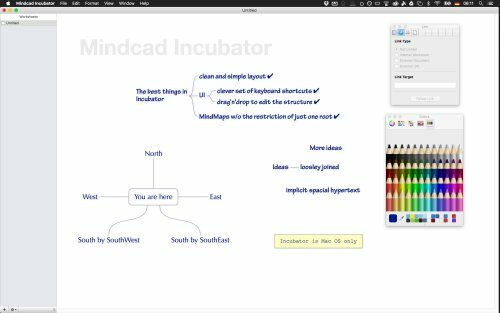 Incubator is my favourite mind mapping tool for Mac. It does not come with the usual constraint of just one root node for the mind map. This clever detail is a huge advantage during brainstorming when ideas are not yet structured in any hierarchy. Incubator has a simple and clean user interface. The keyboard shortcuts are aligned with the Finder – hence powerful and easy to remember. The limited amount of features is one of the huge advantages compared to other mind-mapping tools. However, if you need a more powerful layout engine I can recommend iThoughtsX. I use both apps for similar purposes. 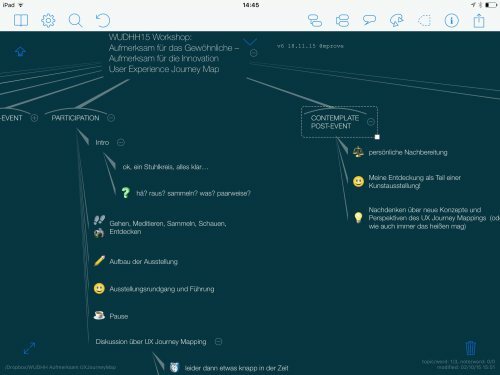 iThoughts is a mind mapping tool for iOS and MacOS X. Maps can be synched among all devices via iCloud or DropBox. I use the latter, which is a bit tricky to set-up, and I run into glitches when using fonts on the Mac that are not available on the mobile devices. 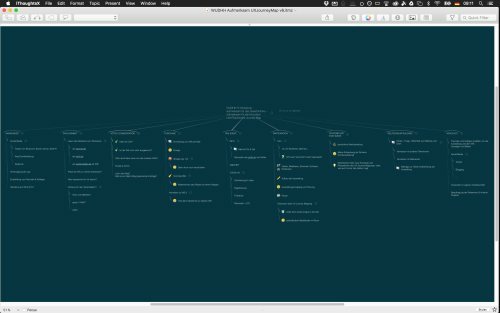 Nonetheless, iThoughts scores high at style templates for mind maps. For each level, layout, font, font size, line style and node style can be configured and applied to any other map. 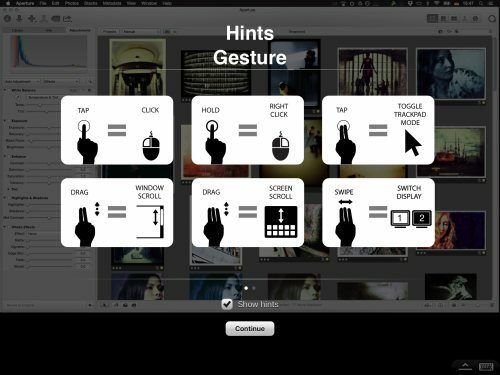 Touch interaction is a joy, and the keyboard shortcuts for Mac are quite powerful. BTW The map above is a User Experience Journey Map for a workshop (slides here). 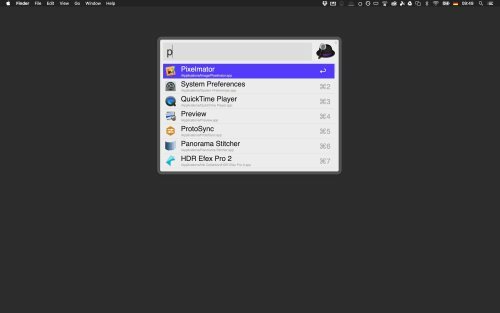 Pixelmator started as a clever alternative for Photoshop on Mac…. 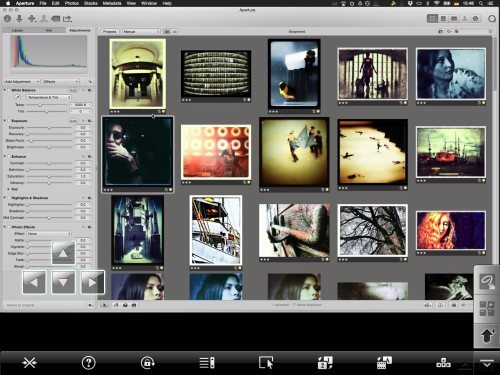 Pixelmator started as a clever alternative for Photoshop on Mac. On iOS it is a delightful experience as well. 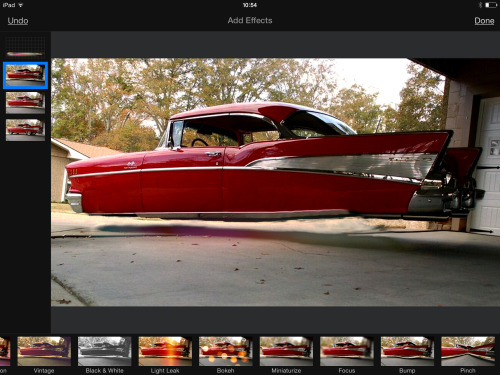 A set of essential photo editing tools are complemented by surprising effects. The interaction concept is flexible, powerful, and a joy to use. Pixelmator iCloud integration works like a charm: You can start to edit on iPad and continue on Mac and vice versa.